In what some cruise officials are calling a “first,” a Florida family has found a hidden camera in their stateroom on board the Carnival Fantasy. 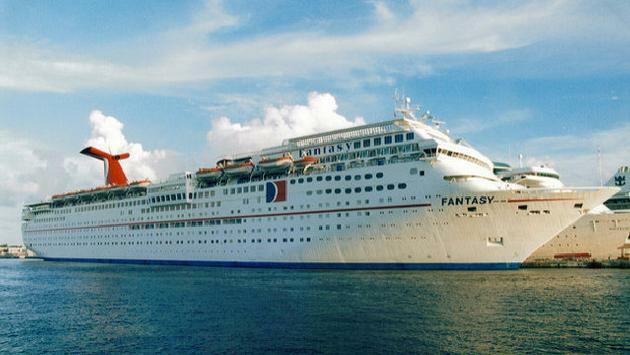 The passengers, a couple from Pensacola, Florida and their 10-year old son, were on board the Carnival Cruise Line ship for a three-night cruise from Mobile, Alabama to Mexico. On their second night, the father reportedly suffered an allergy attack, prompting the family to search for “dusty areas” in their stateroom, which is when they happened upon the camera hidden behind the in-room television. According to the Miami Herald, the father said the lens was poking out from behind the TV and pointed at the bed. After finding the camera, the family contacted ship security, who investigated. In a video shot by the family, the father can be heard asking, “Do you want to put gloves, or something, on so you can fingerprint it?” The security officer’s response is unclear. Meanwhile, the family has retained the services of a lawyer, because, they say, they want to make sure the cruise line "takes action" on the incident. The family says that Carnival has not contacted them since the camera was discovered nor have they offered an apology. While hidden cameras have become a concern for travelers lately, especially in light of recent reports of Airbnb hosts secretly taping their guests, Gulliksen says he’s never heard of any prior incidences of video voyeurism at sea. The family’s attorney, Jim Walker, who specializes in maritime cases also says this is the first time he’s ever heard of a hidden camera on a cruise ship. It remains unknown how the camera initially got into the stateroom.